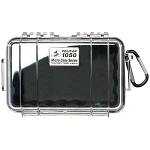 The Pelican 0915 Memory Card Case can store up to 8 x SD cards and 16 Mini SD cards simultaneously! 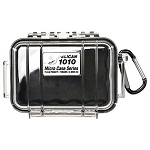 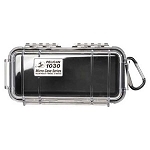 The 0915 features a removable insert tray and liner, water resistant seal, and is made from a tough polycarbonate resin. Plus it is covered by Pelicans Unconditional Lifetime Guarantee!